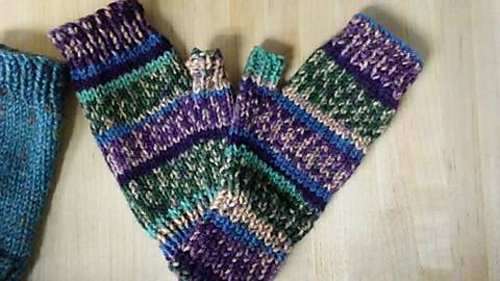 This pattern works will with most any 50 gram worsted weight ball of yarn. 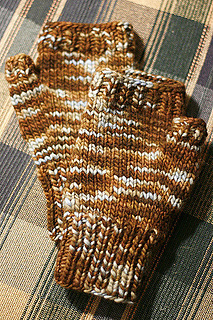 Note 1/20/10 - If you are interested in knitting this pattern in the round instead of flat, I’ve added a second version of the pattern that has directions for doing that. 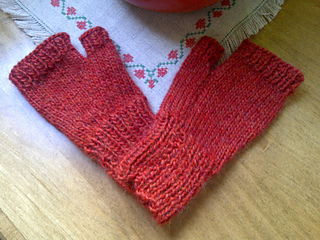 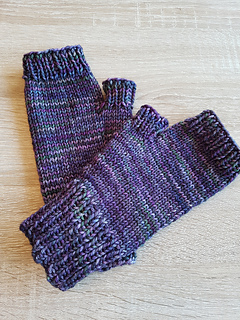 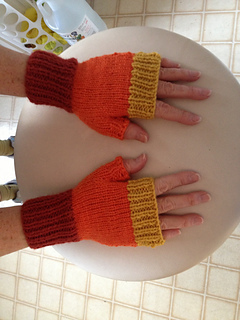 Fast & Easy Fingerless Mitts v2 - Circular.